Hotel Villa Oretta, is not only a famous restaurant but is also a familiar little hotel. 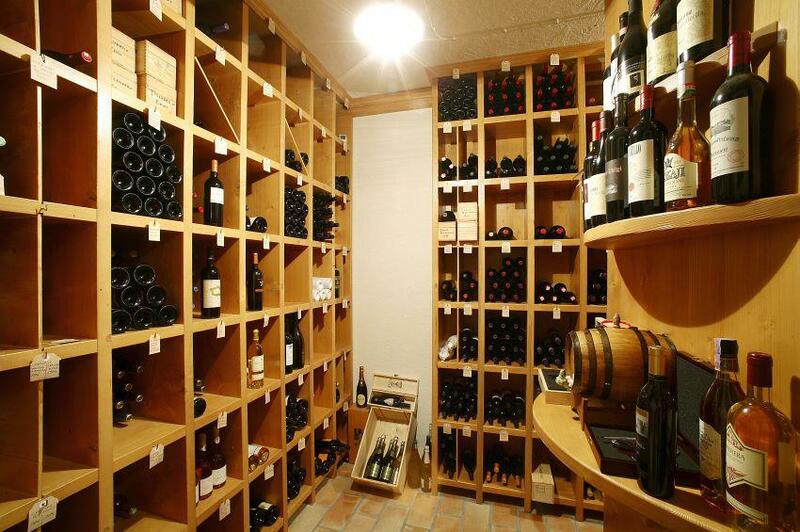 It's owned by Bocus family, whose origin are from the city of Venice. It is located not far from the center of Cortina, on the road that leads up the famous ski-area “Tofana”, and near by the Olympic bobsleigh track. It is easy to reach the down town from Villa Oretta, either by bus (there is a bus stop in front of the restaurant), or if someone wants to enjoy the fresh air mountain, can walk through a nice walking path, till the center. A small three star hotel of only eight rooms with good attention to the details. 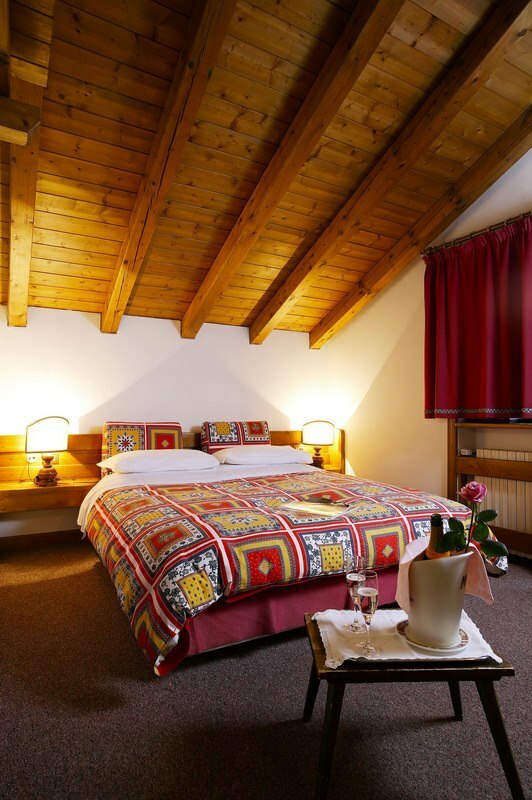 The furnishing are all made of wood, reminiscent of the classic mountain chalet, making them warm and confortable. Equipped with all the comforts of a big hotel, such as color tv, dvd, sky, telephone, minibar, safe, wi-fi. If desired delicious home made breakfasts are served in your room with a careful room-service. All rooms have a large terrace where you can admire a fantastic natural environment, consisting of the dolomia mountain that surrounds the wide valley of Ampezzo, a unique sight, romantic and breathtaking, Useless to try to describe, you must attend the show to understand. 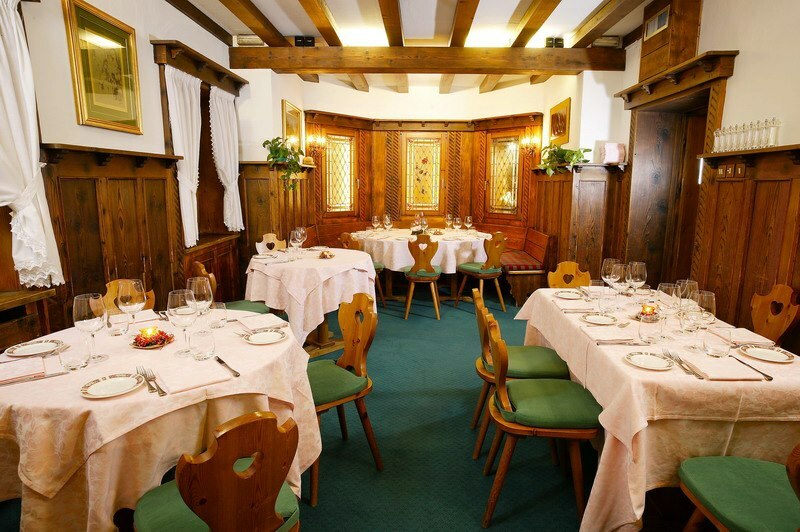 The restaurant is a typical place for who wants to taste italian food with some original venetian specialities. 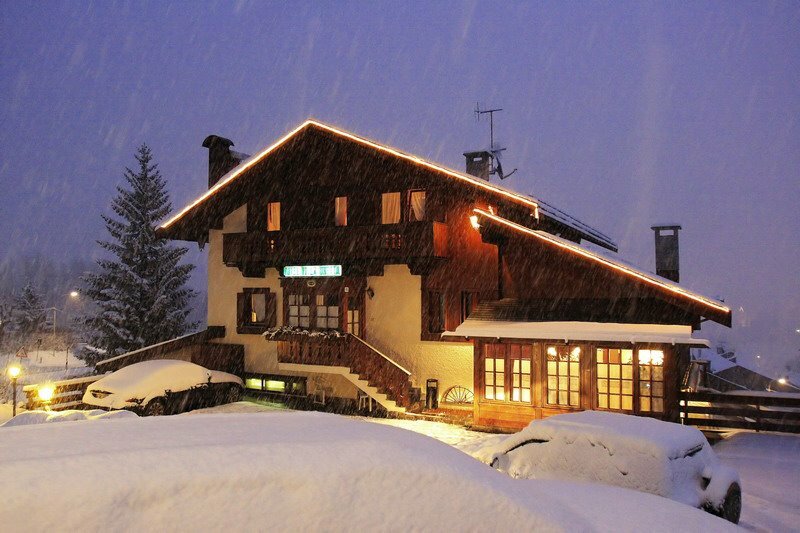 The restaurant has inside two elegant dining-rooms each one with large windows that gives an overwhelming view of Cortina. Outside there is a large sheltered terrace, idea for carefree luches. Some of the specialities are; “CICCHETTI “a mix warmed appetisers, “Baccalà Mantecato” typical italian salted codfish, with oil and a little of milk, “Tagliolini gratinati con lo speck” a sort of spaghetti cooked in owen with a typical smoked ham, rice in different ways, and “fegato alla veneziana” liver cooked with onion and white wine. There is always fresh fish in the menu like shrimps with curry and rice. And there are also a variety of savoury dessert at the end the meal.